Drip, drip, drip... The snow and ice is melting and temperatures are getting towards being right for working with polyester resin. 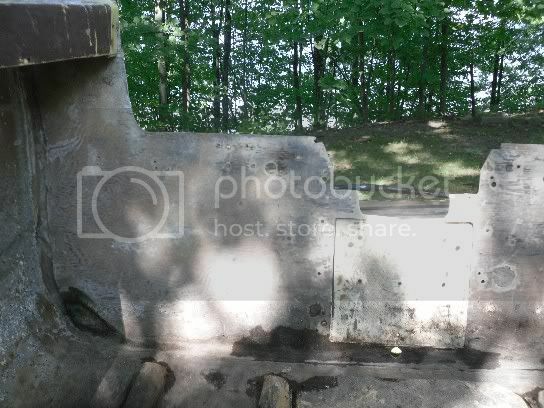 I do all of my fiberglass work outside in West Michigan and have had to wait throughout the winter. My project boat is a 1960 Speed Queen Cruisette, a beast of a runabout at 17'6". 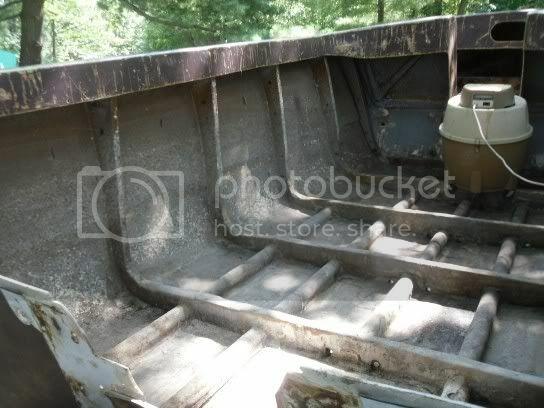 Last fall, I installed a new transom core and began demo work on the forward bulkhead under the molded front seat. This boat had sat in the lake all summer long for many years and absorbed water like a sponge through some pinholes in the hull. I managed to install the new transom without splitting the hull (no splashwell in the way! 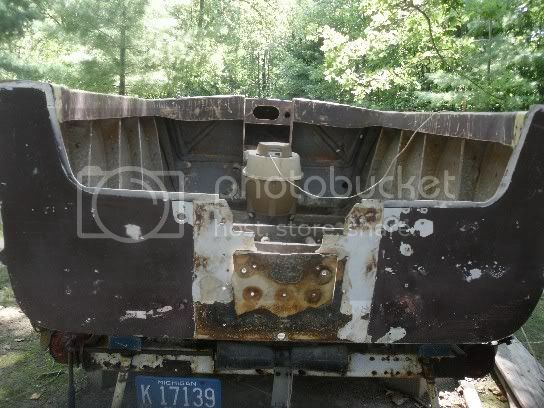 ), but might have to split the hull to repair the front bulkhead which serves as a hull frame and support for the front seat. Once the structural work is done, it's on to the fiberglass surface repair! It looks like you have gotten a good start on your boat there. From here the work is only going forward. It sure helps when you get a couple of warm days so that you can see some progress. I have only seen one boat like your yrs ago but they sure were nice with lots of room inside. Good luck and keep us posted on its progess. Skip. Seems logical that the larger and more expensive runabouts and cruisers were built in fewer numbers and now are more rare than smaller, simpler boats. Apparently the only option for seating in the rear of the Cruisette utility are folding chairs, owner-supplied (must have helped keep the cost down). Lots of room indeed for skis, fishing poles, snorkeling or diving gear, tubes or other inflatables. I guess that justifies the "utility" nomer. So you must know a bit about the speed queens. Do you have any info on the catalina model. I cant seem to nail down a year on this one.